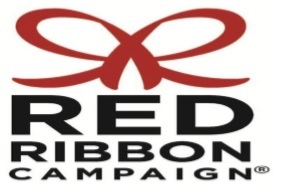 Music Fresh "New Day's Dawn"
Tonight's Walk of Hope Ceremony marks the end of Red Ribbon Week 2014! A week in which Wallingford committed to provide a safe and drug free environment for our kids to grow up in ... we did this together. The events were powerful, emotional, and inspirational. We've taken the first step, and have still a lot of hard work ahead ... please join us at 7pm on the Town Hall Parade Grounds, to help create the legacy of those we lost. Hope and inspiration of Recovery is real. We are the beacon of the future. Wallingford - You should be very proud of yourselves tonight, October 30, 2014. We marked the end of Red Ribbon Week with an incredible show of support. Thank you all for your wonderful submissions, we are so pleased to see the turnout.